God. Beauty. Peace. Nature. Blessing. Joy. Happiness. I took this picture today. All seven words are represented in this picture…to me. This lake is close to where I live, and it is so beautiful! My friend and I took a walk down there this afternoon and fed the ducks. Being down there was so peaceful and I felt the presence of God there. 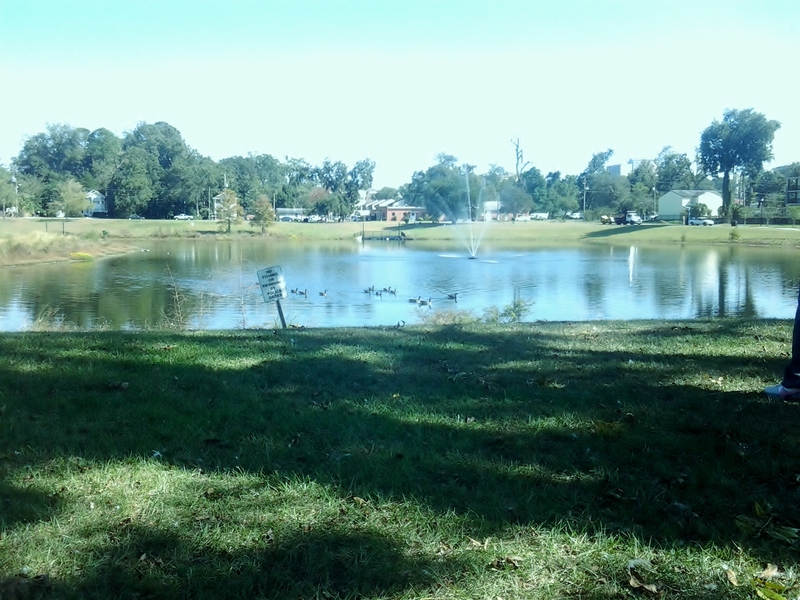 The feeling of joy and happiness I felt just being in the presence of the ducks, spending time with my friend, and just feeling the breeze in my hair, the smell of the water and freshly cut grass was such a peaceful and happy experience for me. It was a wonderful afternoon, and I feel so blessed that I got to experience it with someone that I love like a sister.